Violinist Jennifer Choi joins TALUJON Percussion Ensemble for a performance of Lou Harrison’s Concerto for Violin and Percussion and other works by composers inspired by the Indonesian gamelan in some part of their artistic lives. Jennifer Choi has charted a career that breaks through the conventional boundaries of solo violin, chamber music, and the art of creative improvisation. Hailed as “one of New York’s most reliably adventurous performers,” (Time Out New York), “a leading New York new-music violinist that plays it with fiery authority” (Boston Globe), “intense, spectacularly virtuosic play” (The Seattle Weekly), and “soulful, compelling work” (The New York Times); Jennifer has traveled the globe with her violin in solo and chamber music settings in classical, new music, and free jazz/improvisational genres, becoming one of a few pioneering violinists in her generation to garner such a reputation for performing in multiple genres. Since giving her debut recital at Carnegie’s Weill Recital Hall in NY in 2000, Jennifer has performed in venues like the Library of Congress in Washington D.C., Alice Tully Hall in New York City, Cité de la Musique in Paris, the RAI National Radio in Rome, RTHK radio in Hong Kong, and the Mozartsalle in Vienna. She has performed the Brahms, Bach, Sibelius, and Beethoven concertos among premieres of concertos by some of today’s most active composers. 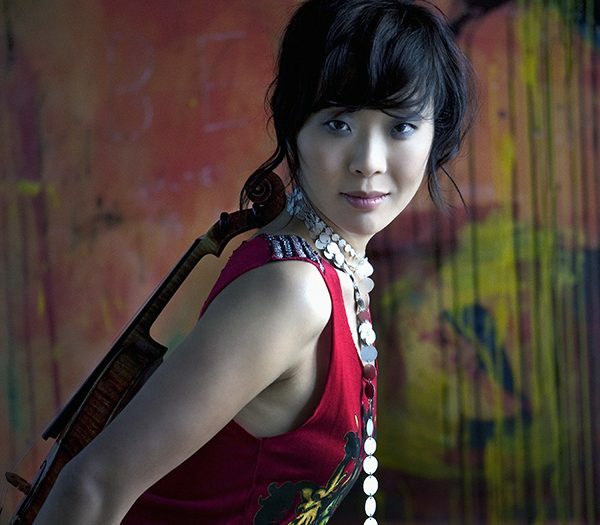 A prominent chamber musician, Jennifer was former violinist of the Miró String Quartet. With her involvement, the group won Grand Prize at the 1996 Fischoff and Coleman chamber music competitions. Since then, she has performed for the Chamber Music Society of Lincoln Center, Ravinia Festival, Barge Music, Caramoor Music, and other chamber music series across the United States. She has also been a member of the string quartet known as ETHEL, and the Sirius String Quartet. As a chamber jazz and experimental musician, Jennifer toured Europe and Canada extensively with the Susie Ibarra Trio. Currently, Jennifer is a violinist of Classical Jam, the Either/Or Ensemble, and Anti-Depressant Duo with pianist, Kathleen Supové. Jennifer is regularly sighted in solo performances of rare works that stretch the limits of violin playing often calling for extended techniques, improvisation, and the use of electronics. She has championed over 50 new music works including works written for her by composers like John Zorn, Randall Woolf, and gave the US premieres of solo violin works by Jacob ter Veldhuis, and Helmut Lachenmann. She can be heard on TZADIK record label in numerous compositions by new music and experimental composers as well as on her solo album, VIOLECTRICA- Works for Solo Violin and Electronics. [GENERATE] Jennifer Choi + Talujon Percussion: Lou Harrison Concerto for Violin and Percussion and Gamelan-inspired Works is made possible, in part, with funds from GENERATE: The Frances Richard Fund for Innovative Artists of Promise.